Introduced in 2009, the Cadillac SRX quickly became a mainstay in the class of luxury crossovers. Although the first generation was the only one to feature a V8 engine option, the second generation SRX gave drivers the choice of two powerful V6 engines, capable of more than 300 horsepower. The newest SRX model also comes with state-of-the-art technology, including Bluetooth® compatibility, voice recognition and an advanced touchscreen display for optimum convenience. See why the SRX has remained as Cadillac’s best-selling model in the United States since 2010. If you’d like to test-drive a Cadillac SRX, stop by and experience the Cable Dahmer Difference! THE CADILLAC SRX HAS HAD TWO GENERATIONS SO FAR.LET’S TAKE A LOOK AT BOTH OF THEM! 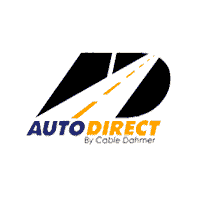 If you are interested in becoming the proud owner of a Cadillac SRX, please feel free to contact us directly, or stop by Cable Dahmer Auto Direct at 11911 E US Hwy 40, Independence, MO 64055 for a test-drive! We look forward to serving our customers throughout Kansas City, Lee’s Summit and Blue Springs! *Some features may not be available for all trim levels or all model years. **Based on model-year EPA mileage ratings. Use for comparison purposes only. Your actual mileage will vary depending on how you drive and maintain your vehicle.